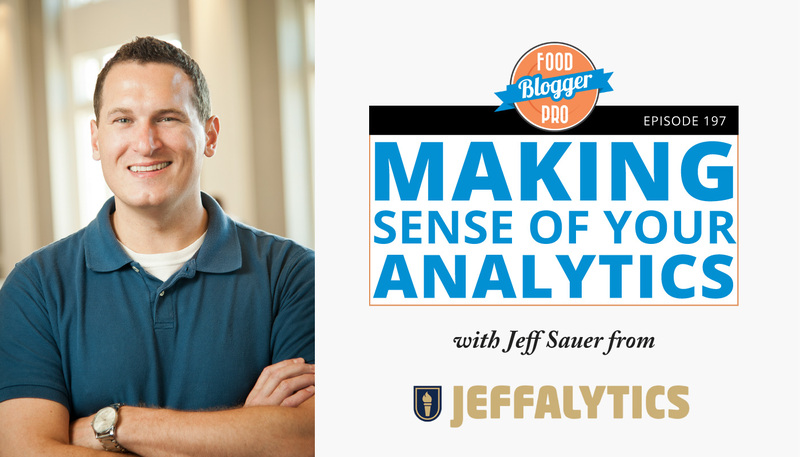 Welcome to episode 124.5 of the Food Blogger Pro podcast! This week on the podcast, Bjork talks with Katy Keck from Palate Passion Purpose and Ben Myhre from Ramshackle Pantry. Earlier this week on the podcast, Bjork interviewed UJ Ramdas from Intelligent Change about why you should start gratitude journaling, the benefits of meditation, and how to cultivate awe To go back and listen to that episode, click here. We’re so excited about this bonus episode! Today we’re featuring two of our members: Katy Keck and Ben Myhre. They’re living the food blogging dream: blogging full-time, connecting with readers, and creating content every week. Hear them talk about leaving their full-time jobs, growing their blogs, and more, covering the ups and downs of blog and business ownership. Plus, they share how they’ve used the fundamentals learned on Food Blogger Pro on their own blogs. Join Food Blogger Pro today! Kate Winslet the St. Bernard! Bjork Ostrom: Hey there. Bjork here. This podcast is a little bit different than the normal Food Blogger Pro podcast that we do. And if you listen to these podcasts weekly, you can see that this one is coming out at an abnormal time. So it’s coming out on a Thursday versus a Tuesday, which we usually release the episodes on Tuesdays. But I wanted to release this podcast episode and actually this was an idea from the Food Blogger Pro team, so they came to me and said, hey Bjork you don’t you do an interview with some Food Blogger Pro members when we are doing the enrollment session? So let me unpack that a little bit and explain it. For those of you who listen to the Food Blogger Pro podcast, you know that this is something that we do on a consistent basis. It’s open, it’s free, it’s available for anybody to listen to. But occasionally, we also talk about this premium level that we have. And the premium level is the Food Blogger Pro membership. We don’t talk about it a ton, but every once in awhile when we do an enrollment season, we always mention that enrollment is open. And if you listen to the podcast in real time, now is the time when Food Blogger Pro is open for enrollment. We kind of do it like a college or university. So if you can imagine joining a college or a university, it’s not like you can just sign up anytime and just start showing up in classes, but instead, you have to sign up during the fall season or the spring season and your joining when everybody else is joining so there’s this big group of people that are coming in, but then people don’t trickle in here and there after that. So that’s how we operate the Food Blogger Pro sign-up seasons. What’s included with Food Blogger Pro? Well, that’s where I wanted to reach out to these members and talk to them a little bit to hear their story. These two members, Katy and Ben, I’m going to have them share not only their experience with Food Blogger Pro, as a matter of fact, we’re going to spend the least amount of time on that. We are going to dig deep into their story though because for both Katy and Ben, they have a really encouraging story of following their passion and continuing to learn and to develop and to push through hard times of figuring things out in order to pursue their dream, in order to pursue their passion, in order to pursue their interest. And that’s the part that I’m really excited about. Now, wrapped in that, I’m also going to ask about Food Blogger Pro. How that experience and how that membership played into their journey, specifically with learning about everything that goes into building a blog and building a following online. But they’re also going to talk about and spend a lot of time digging into their story and how they made these transitions. I was really encouraged as I talked to Katy and Ben to hear their story and to also hear about the way that they use Food Blogger Pro and also some of the things specifically that they got out of it. So, excited to share these two interviews with you, first let’s go ahead and jump into the interview with Katy. I actually was able to meet Katy in person just a couple of weeks ago and so it was fun to connect with her again to interview her for the podcast. So let’s go ahead and jump in. Katy, welcome to the podcast. Katy Keck: Thanks! Great to be here. Bjork Ostrom: Yeah, super fun to see you in person again, to talk to you in person again because was it just last week that you were here for the TC food photography workshop here in Minneapolis? Katy Keck: Yeah. That was fantastic. Had such a great time and learned so much. Katy Keck: Lindsey’s an amazing teacher. Katy Keck: I recommend her to everybody. She really is great. Bjork Ostrom: Yeah, well, and that’s one of the things that she loves to do is she loved to do those workshops and connect with people in person. And you know this, as you’ve built your online presence, but there’s something about being able to just hang out with people in person that you can’t get when you’re building something online. So it’s always fun to do that. But one of the things that happened, Lindsey actually came home after one of the workshops, one of the days. It was the first day after everybody does introductions and she was like Katy Keck was there, and she she gave the world’s best Food Blogger Pro testimonial unprompted. So as we’re in an enrollment period here, we said hey, let’s have some Food Blogger Pro members on to talk about how they use it, what they find valuable about it. But before we get into talking about that, I want to hear a little bit about your story. Because it’s really interesting. As I was reading about it on your site and kind of researching and digging in a little bit, I think it’s inspirational to hear how people have evolved over their career. And so if we go back, there’s a point where you had (and you still do) but you had graduated, you had an MBA from the University of Chicago, which is a big deal. And you were working on Wall Street, and then you make this transition into food. So what happened at that point and why did you make that transition? Katy Keck: No, I was on Wall Street about eight years, and I just was loving the work and not loving the environment. And I really felt like I needed to take a little more control of my destiny. And I loved cooking. Always have since the Easy-Bake Oven days and all throughout high school, college, I cooked a lot. But I wanted to find a way to incorporate that with my business skills and turn it into a business. Katy Keck: And I had done the really Wall Street thing of writing these extensive business plans, but with no real-world experience in that. So I know my estimates were really off in terms of doing it, but before I started I took some classes and one of my instructors encouraged me to enter a recipe contest. And I did, and I won. And the prize was an apprenticeship in France. So I quit my day job, much to the family’s dismay, probably still paying off student loans. And left for a year in Paris. Katy Keck: Yeah, so that really changed my output. And I came back and actually, to be respectful to the budget and everything else, I did do consulting on Wall Street while I was launching my food career. So I did a little bit of both for a couple of years and eventually opened my own restaurant about five years after I got back from France. What was that like, to open your own restaurant in New York? Katy Keck: Yeah, in New York. It was really daunting. I don’t know that if I would have ever done it by myself, but I had a partner who was a serial entrepreneur and he always opened a lot of things. And he didn’t really have the fine dining experience, and I had worked in four restaurants in France and done a lot of work in catering and things in New York by that point. So together, it was a really good combo because I was more fine dining and the back of the house side of things and he was more like how do you get the toilet unclogged and what happens when somebody slices a finger? You know, he had the practical, running a business thing. Setting up QuickBooks and doing all the legal things and all the things an entrepreneur really knows well. So it was a good match of those kinds of two different skills sets. Bjork Ostrom: It’s funny, we have a really good friend, or he’s a friend who’s a really good restauranteur, I should say it like that. Not somebody we know super well, but we connect with him at one of his restaurants and asked how it’s going and he said it’s amazing to me how much of owning a restaurant actually has nothing to do with food. And for him, he was talking about paperwork and employees and HR and like all of this stuff that you don’t think about when you own a restaurant, so it makes sense when you say that. Katy Keck: Yeah, I think any small business, it’s the same. You get into it because you love one thing. And in the beginning, you’re doing 90% of that. But the more established you get, you get down to 5% of that. And I wasn’t spending a lot of time on the line. I did pastries for a couple of years because nobody else wanted to. And that wasn’t really my thrill in life, so I finally got people to do that, but the business end is really the most important. And that’s where, I think, those skills carry forward into my blogging and things related to social media. Because I do have that small business background and had to wear all the hats of doing the finance and the marketing. The one difference I will say about today’s age versus then is there’s a lot more technology involved. Katy Keck: In making things run, especially in the digital age. Bjork Ostrom: Yeah, and it’s interesting to see even some of the restaurants that we just booked a reservation at restaurant in the Twin Cities called Spoon and Stable, which is a popular restaurant. And I noticed how smooth the online reservation process was and also how so much of my opinion of the restaurant was formed through the search results and the search page and Yelp and all of these things that we know and understand. And I think that also crosses over to our as we interact with recipes online, all of those things impact the final impression of the recipe or the site. So you had this restaurant for 15 years. Was that around the same time where like I was watching some of your videos on your blog when you were on like the Today Show and you were having all of these TV – Food Network – and all these TV appearances where Rochelle’s like Katy! This is so awesome! It was so fun to see. Was that during the time you were running the restaurant? Katy Keck: You know, the Today Show was. I was in a book called Great Women Chefs, and that was a promotion for the book. We did a media tour for that and I happen to have a lot of connections at TV shows because I also did food styling for every network show in the New York area during that period of time. So I had a lot of good connections in the media. And then some of the other video clips you would have seen is when I worked as spokesperson for Bush beans and a couple of other companies, pork council, and a variety of different organizations just as a media spokesperson. Bjork Ostrom: Mm-hmm (affirmative). What did that look like to do the food styling for all of those network television shows? Katy Keck: You know, my initial background was the day I got back from France, which is about 25 years ago, I got on a Pizza Hut commercial. And that was so tedious because it was advertising and you’re counting pepperonis and putting them in the right number in the outer ring. And then I happened into food-styling for television when really nobody wanted to do it. They weren’t paying as much as advertising because it’s a more editorial use. And PR use. And nobody really wanted to do it and I loved it because it was different every day. There wasn’t that same old client every day. It was a different client, different show. And other than doing a few things repeatedly like I was a stylist for the Rosie O’Donnell show for the entire seven years they were in New York, where I had a constant set of contacts that I dealt with. The other shows, it would be a different show, and a different talent, and a different product every day. But the one thing that I found compared to advertising was it had to be really fast and you had to do it the best you could on the first try. So you didn’t get the money or the budget to be able to make 49 pizzas for one second of a 30 second commercial. Katy Keck: That’s the kind of volume that you do. And advertising is every second and those commercials are cut together so fast, sometimes it’s a half a second. You may spend four hours shooting that half a second. Katy Keck: And live television is exactly what it sounds like. It’s live. And every once in awhile, you’re cleaning up and stuff’s in the trash and they’re like we want to add another part to that segment. And you’re like pulling it back out. Bjork Ostrom: I so, so specifically remember the moment when Lindsey and I went on a live TV show. It was like, I really don’t know what I’m talking about when it comes to food and I don’t try and pretend to, but they don’t know that. They think I’m just as much the food guy as Lindsey is the food girl. And so they have me like, mixing this bowl of muffins and they’re like and we’re going live in three, two, one! And like the bowl was too big and it looked like this like something from Charlie and the Chocolate Factory where it’s like and then there’s the weird guy, Bjork, mixing it. But it’s like you said, it’s like live TV’s so live. And it’s the stress of it, I could never do it. Katy Keck: And for those segments that I was on TV, I had my food stylist that day. I didn’t do my own prep. Because the reality is authors on tour, if it’s an author or a product spokesperson, they’re doing five cities in five days and three shows in one city and so somebody is going ahead and staying behind. I did it a lot also with celebrities that didn’t really cook that were more like the Richard Simmons type or like a Naomi Judd. And they don’t really cook so much, but they are popular, so they’ll book eight appearances in a day. And it takes a fleet of me and my entourage to get everybody in the right place at the right time with the right props and the right stages and you know, that’ll be a week of logistics before you ever start cooking to do a big famous person media tour like that. Katy Keck: I was going to liken it, although this dates myself, I was going to like it to Lucy and the chocolate factory. That’s really a lot of what it’s like, you know, where things just keep moving and you have to do the best you can. But flexibility and a sense of humor are integral to any of that, like most things in life. Bjork Ostrom: Yes, yes. For sure. Katy Keck: Being able to roll. So you have this background and it’s kind of a unique, cool combination where you have your MBA, you’re on Wall Street, you have some business as well as restaurant experience, food experience in a business setting. And then you did some of this food styling. So you have all these kind of tools and you have these experiences. Tell me a little bit about this new iteration of Katy where you’re developing your online presence and your brand. Katy Keck: Well, you know, my website took forever to do it. It’s where like cobbler’s child goes barefoot, you know, you’re just so busy working and you don’t get around to doing it. And I finally got my website up a few years ago. And one of the reasons I wanted to start blogging was to really keep the content on my website fresh. And I found probably through Food Blogger Pro and going to everything food conference that most people don’t have that kind of website where they have their business things. They have just purely a blogging website. Katy Keck: So there are a few differences to those things, both in terms of what the goals are and in terms of what it is I’m really selling. And so I started blogging that way. I also have somewhere in the back of my mind maybe writing a book because I have some really funny stories to tell from my experiences on the road. And so something like you’ll never cook in this town again, or something like that is sort of you know, somewhere in the back of my mind. Katy Keck: So I wanted to blog really for the keeping the content of my website updated but also for developing a voice. And Lindsey is one of the first bloggers I ever really studied and her voice is very strong. And you know, you can tell when she’s writing. Even today’s post, she put a period after each of the first four words. And I’m like, that’s a Lindsey thing, to draw the emphasis to it. Katy Keck: So I wanted not only to develop a voice, but also to create some discipline in my writing, so that was really how I came to blogging in the first place. Katy Keck: And very early on, one of my friends pointed out Pinch of Yum and from there I found the income statements which took me to Food Blogger Pro, and it was happened to be in the middle of an enrollment period. So I didn’t know that you only did this periodically, I thought it could be shutting down for a long, long time. And I had to jump now, which is the brilliance behind your limited enrollment periods for people to get off their chair and do it. But never looked back. It’s really been a game changer for me. Bjork Ostrom: That’s awesome. Yeah. And it’s interesting we changed that maybe two years ago. So Food Blogger Pro used to be just open. But what we found is it’s multiple things. Number one, there’s a marketing aspect to it. It’s kind of like the movies. It’s like if they marketed the same movie the whole year, it would be like well, you just kind of get warn out with the marketing? The second thing is, it really is nice because it allows us to do seasons. So like, on this podcast, we can have this strong push for it right now like we interview Food Blogger Pro members and we say, hey, it’s time to sign up. And then we kind of go into quiet season where we don’t talk about it much. Kind of the ebb and the flow of Gary Vaynerchuk who’s a social media guy, I don’t know if you’re familiar with him. I talk about him sometimes. Bjork Ostrom: But he talks about jab, jab, jab, right hook. And this idea of give, give, give, give, and then ask. And so this is kind of a season of ask for us. But the third thing like you said is like, it’s good because it encourages people to take action and to move forward on it. So talk a little bit more about, so, you have your blog, you have your site. But I know that you’re also doing things like you’ll work to partner with brands potentially, to do even before I didn’t give specifics around what it was, but we were emailing back and forth, and you’re like if it’s going to be video for this interview, I’ll have to kind of clean up because I’m doing a recipe development project or something like that for a company. So talk a little bit about maybe kind of the business side of what you’re doing now and/or what you’re building into. Katy Keck: Sure. I do a lot of work with especially liquor clients in terms of recipe development and that’s very seasonal because they’ll work five months out for a Christmas campaign or something. So I have a number of liquor clients. And I think that maybe distinguishes me a little bit from some of your users because most people, their day job is not related to food. And my day job is related to food, but I don’t look at it as a day job or a hobby for the blogging. I think it’s all integrated into one because it’s just about expanding my brand. And my website, originally it was just my tagline was Palate, passion, purpose. And then I found that people were having trouble finding the blog on the website so I got the palate, passion, purpose.com URL and linked that into the Katy Keck.com website. Katy Keck: So that I could pull the two together. But I also have a huge portion of my life that’s geared toward non-profits and right now I’m working with hunger and refugees. Before that, it was African orphans, but I spent years of my life working and a good portion of every year working on non-profits. So I think that the purpose is very strong in terms of my palate and passion. And I also will write about people that are producing sustainably or making sourdough bread by hand with a silver paneled bakery. Things like that that pull it all together, and that’s really where that comes from. But what I’m working on right now is a recipe development for a nutrition snack bar company, not just bars but other things in the snack brand category. And so I work with companies that generally I don’t get this far deep into the product development. It’s more like they want to brand extension, like can you give us other flavors your thing. But in this case, I’m working hand-in-hand with the owner of the company. Fairly small company who’s trying to enter the market in this category and trying to come up with the right ingredients to make the most tasty brand. Because so many of those products, as you know, don’t taste like food and they’re not. They’re made in a laboratory. Bjork Ostrom: Yeah. And that’s one of the things that I love about your story. And I think is important to point out to broaden perspectives for people that listen to this is you talked about using your site and your blog as a way to expand your brand and to develop your voice. And all of those things are impact, I would assume, the goals that you have or the things that you’re working on. And oftentimes, I think people can get pigeonholed into thinking about I need a website, then I need to get traffic, and then I need to get an advertiser. And there’s all of these different avenues that you can use a blog for. Obviously traffic is a good thing and it’s not like that’s a bad thing to have. But it’s important to think about the different ways that you can use a site. And for you, you talk about these other avenues and I think those are important to point out because it doesn’t just come down to this idea of just building a blog and then trying to get advertisers. Like so often it’s this small connection. But for you, you have these clients that you’re working with in an offline capacity, but I’m assuming that your site is important in establishing your credibility and even for me, I go and I see, oh, you’re on the Today Show and you had a restaurant for 15 years and all of those are signals that people use in order to think about hey, do I trust this person, am I going to work with this person, is this person credible? Oh, there they are with what his name? Matt what’s his last name? Bjork Ostrom: Matt Lauer! I didn’t have a TV growing up that’s why I don’t know. But there she is talking to Matt Lauer, like she must know what she’s doing. And all of those things are important pieces of puzzle. So take me back. So Food Blogger Pro was something you kind of stumbled upon, decided to join. Talk about what it was like as you got into it and maybe the areas that you went to initially as a new member. There’s lots of different areas within Food Blogger Pro, but where did you go when you first signed up? Katy Keck: I think one of the first things I did was start looking at videos. But I’m horrified to say that there’s so many more videos that I still have to look at because I found that the things that were live or monthly or timely really caught my attention and I wanted to stay caught up. So it was kind of a push-pull of I’m going to stay current with what’s going on now, but then when I can, I’ll go back and look at the videos. And I think of them of as being always there, but the reality is everything that happens live is always there too because eventually add that into the content. But I just kept thinking that more than getting further behind on what’s happening now and starting from the beginning, I wanted to start with what’s relevant today. And there’s the happening now emails and they have what’s trending and then you’ll do a live Q&A every month on a variety of subjects. So I try to stay fairly current with those and then as time permits or the need occurs, I’ll go back and fill in the videos. I still have a dream of watching every video. What are you up to like 400 now or something? Bjork Ostrom: Yeah, getting close. Yeah. Katy Keck: There’s a lot of videos. But you know just getting ready for the workshop for Lindsey’s photography workshop, I watched all the light room and Photoshop videos which had been on my list for the entire time that I’ve been a member. But I just didn’t get there. It seems to me there’s always something really pressing that drives my attention to a set, like when I switched to MailChimp, I watched all of those and I wouldn’t have been able to speak mergetag if I hadn’t watched those videos. Katy Keck: I literally had two computers. One with a video running and the other with MailChimp up and I was watch a video, do the action. Watch a video, do the action. And one of the things that really impresses me is even when the rapidly changing technology and the software changes, you’re able to keep these pretty accurate and up to date and so they feel very evergreen to me. And I notice in some of them, they’ll be like step one a or something because you’ve added in a extra little note in the transcript and then the video itself may have a graphic laid over it with an arrow going click here, not there, because that’s changed since the video was made. And if it gets too far out of date, then you just redo the videos. So these are not static videos at all. They’re very up to date and evergreen in terms of their usability which I think is fantastic. Bjork Ostrom: Yeah. And one of the things that I think is important that you pointed out is the idea of the happening now video. So for those that aren’t familiar, once a month we do a live Q&A and then once a month we do a happening now video. And one of the hope with that, it’s fun to hear you talk about this Katy, is that we would be offering people kind of real time information. And like you said, things change so quickly in this industry online. Bjork Ostrom: Yeah. Fireside chat. Yeah. So Lindsay came on, talked about the process of building to 500,000, what that was like for them. And there was this question that we had about links and when you can include a link to swipe up and in stories. And we looked into and we realized that even Instagram’s documentation was out of date. Like Instagram didn’t have it up to date! And so, things are changing so quickly and so we found the need to have these videos where we say, hey, we noticed this with Pintrest this week and here’s what we’re doing about it. You know, Pintrest is starting to show the full ingredients and instructions, which happened a couple of month ago. Here’s what we decided to do for it, or that’s not happening anymore. Which for those listening, that’s something that has changed and Pintrest reversed. But all of those things tied into the happening now video and live Q&A has been fun for us to be able to reach the Food Blogger Pro members in a more real time capacity. So it’s fun to hear you using those. Katy Keck: Yeah. And I think the other thing that some of the more technical aspects. I have a pretty good marketing and branding background. But as I said earlier, it becomes much more digital and so it helps me keep my skills fresh. And also to be able to just find something really quickly that I don’t know. There’s the community forums too, and they’ve been really helpful for me because members will answer the questions and then experts jump in if it’s beyond the scope of fellow members. I love the sense of community because it’s a lonely job blogging by yourself. Bjork Ostrom: Yes, for sure. Katy Keck: And there’s a few things where I took this was from one of your blog posts on backing up. I’ve learned from every single one of your mistakes. I showed Lindsey last week there on my camera there’s a permanent photo that’s got my phone number and email address on it. That’s a locked photo that can’t be deleted. Not that anyone’s going to steal my camera and then try to return it to me, but if by chance I leave it somewhere. So I learned that from you. And then I learned about backing up. And I went offline from a community member that I had met at a conference. And he and I discussed the backup system and like did I understand what you were doing right. He was very generous with his time. As are other members of the community. I think all the bloggers that follow there are very generous with their time and for sure the Food Blogger Pro and Pinch of Yum staff are very generous with their time and their information. Bjork Ostrom: Yeah. We have a team of people that are part of Food Blogger Pro. Alexa, who helps run this podcast and run the community. Raquel, who does a lot of WPTasty as well as Food Blogger Pro. And Jasmine, who are some people I’ve interacted with as well as the Pinch of Yum team. And then you had mentioned the experts, and I just want to give them a shoutout. Actually, every one of the experts has been on the Food Blogger Pro podcast and these are people that are also involved in the forum. So, Kacey Markee from Media Wise on SEO. Andrew Wilder, he does blog tutor and does Word Press support. Lauren Gray from Once Coupled. Kate All from Pintrest, simple pin media. Tony Ruly who does Intentional Spark and he does Facebook. Alannah, who’s actually on the Pinch of Yum team and she shoots all the videos. Danielle With, the legal expert. And so all these people are active in the forums. And are incredible people and super smart. So nice to have them as part of the team. Katy Keck: I met Lauren Gray at a conference this past year and because we had communicated through Food Blogger Pro she recognized my nametag and came and introduced herself. Bjork Ostrom: Oh, funny. How cool. Katy Keck: So we talked for about a half an hour. Bjork Ostrom: Oh, that’s great. Katy Keck: So I feel like that’s proof positive that this community extends beyond the digital sphere and into real life. And I think that’s really important about it. I’ve been involved in a bajillion things over the course of my time and really nothing has been such a great gathering of data, generosity of spirit in many ways to transfer the technology as Food Blogger Pro. It really is a game-changer because it brings so many components together and it teaches in a way that some people can learn. Some people are visual learners, some are auditory learners, you’ve got the sound, you’ve got the transcripts, you’ve got all the bits and pieces. And they’re broken down into bite-sized units, too. So that if you only have a few minutes, you can do the first three videos and pick up later on. I’ve also spent a lot of time learning on the technical side. So things like SEO, you had used for one of the podcasts and also SightSpeed and things that run from really qualitative to very analytical. So I think that’s super helpful, especially when my goal in life is like my goal being the small business owner was to cook and to create content. I don’t really want to know about all those other things, but I have to. Katy Keck: So the ability to go and pick up bits and pieces here and there. You also mentioned WPTasty, and I’m one of the early adopters of that. I started in the first round in January. And I love having recipe plug in. I had never gotten one because I didn’t find one that felt like it did all the things I wanted it to do. But that’s a really good recipe plug in and it’s definitely helped with SEO. Bjork Ostrom: Well thanks, yeah. That means so much. And fun to hear you connecting with Lauren, too. It’s those weird in person interactions when you meet the person that been an avatar for so long and then you’re like, oh yeah, look at that. You move. You’re 3D. Katy Keck: It’s like I missed the green hair before. Bjork Ostrom: Right, right. That’s funny. Well, really appreciate that Katy, obviously it means a lot and I appreciate you coming on, talking about your story as well as kind of interactions with and the things that you’ve taken away from food blogger pro. Speaking to those people that are in the early stages or wanting to get started with their thing, knowing that you’ve done it, you’re in it. You’ve implemented some of these things that I’m guessing a handful of years ago were kind of scary things to implement, but you’ve pushed through it. You’ve done it. What would your advice be to those people that are kind of on the fence and nervous about doing some of these things that would maybe be kind of intimidating? Katy Keck: Oh, I’d just say you’ve got to start somewhere and it’s better to get moving and not let perfection be the enemy of progress. And I think that being a perfectionist, because that’s what I got paid for for all these years, making beautiful food for TV. It’s sometimes hard, especially when it’s your own thing that you don’t do what you know could be 100%. But a perfect example of this is, my food styling, I wouldn’t pay me for the food styling I do in my photos, because I know I could do better. But the reality is, I’m struggling with lighting, with photo editing, with the timing of things. I have a whole series on my blog where people are waiting there to eat. It’s a community gathering series. And so I just realized that there’s a good enough point too where you just got published. And my old photos aren’t as good as my new photos and my next photos will be better because I’ve gone to the workshop, but you really just have to start somewhere. And if it’s really, horribly bad, you can always go back and reshoot that at a later date. But chances are, people don’t really dig that deep in your content anyway. They’re looking at for what’s at the top of your feed. And so I think taking the first step is the most important thing. Katy Keck: I mean, definitely use spell check. Bjork Ostrom: Yeah, and a pro tip: use spell check. Katy Keck: Definitely spell check. I mean, you want it to be as good as you can get it but you just can’t beat yourself up about every little picture. And there’s always going to be somebody that takes better pictures and there’s also people that take a lot worse pictures. And the reality is every now and then I remind myself of both so that I can set a goal and so I can remember that I have made progress since I started. Katy Keck: The first time I met Lindsey, it was a couple of years ago and she showed some of her old photos. Katy Keck: And that was like the biggest gift ever. Talk about generosity of the spirit, you go here’s how hello my photos used to be. Katy Keck: But everybody has to start somewhere so don’t be afraid to start. Bjork Ostrom: Yep. And you can see that too if you go back into the deep archives of Pinch of Yum, I think as much Lindsey probably wouldn’t want you to, those are available. So, Katy, thanks so much for coming out. Last thing: where can people follow along with what you’re doing online? Katy Keck: My blog is palatepassionpurpose.com and my general website is katykeck.com. And I would love to get some fellow subscribers and connect through Food Blogger Pro. One last thing I wanted to say about that is I think in addition to giving these skills to hopefully continue to monetize my blog and get my skill set improved better. I have to say, it’s improved my quality of life because I’ve always been good at setting goals. I wouldn’t have been as busy as I’ve been all these years if I didn’t set goals. Katy Keck: But this has really helped me set boundaries and I think that’s super important so that I know that I have a finite amount of time to be able to get something done and being efficient and having your resources at my fingertips has helped me really change the game in the way that I approach the whole subject of blogging. Bjork Ostrom: Awesome. That’s super encouraging to hear and I think a really good note to end on. So Katy, thanks so much for letting us interview you for the podcast today and for chatting for a bit. Katy Keck: Thanks, great to see you and hope I see you again soon. Cyberspace or in the real world. Bjork Ostrom: Yeah, sounds good. Thanks. Bjork Ostrom: All right, another big thank you to Katy for sharing her experience as she’s pursued her passion and interest in food over a long period of time and also how now she’s shifted into building her site and being really intentional about that in order to pursue her passions. Katy, great to connect and thanks so much for being on the podcast. Now, we’re going to talk to Ben Myhre a little bit. And Ben has an incredible blog called Ramshackle Pantry. He’s going to be talking about within the last year getting his blog up and running, the things that he’s learned, the mindsets that he’s had to adapt as he’s thought about making this big career change from working at a company to being a freelance developer and working on his food blog as well. It’s a great interview and some really fun topics that we hit. So let’s jump in. Ben, welcome to the podcast. Bjork Ostrom: Yeah, super fun to chat. We were just talking a little bit about the Midwestern way here before we press record and super fun to talk to you because you are a Fargo, North Dakota guy. So I feel like it might not be true, but the internet doesn’t have to travel as far. We are able to connect seamlessly because you are so close. So that’s kind of fun connection. Ben Myhre: Absolutely and Fargo is as cold as you would imagine it. Bjork Ostrom: Yeah, for sure. What I like about Fargo is that it’s the one thing that I can refer back to when people don’t know much about Minnesota because of the movie. So they’re like oh, we understand you because of that movie. And I’m like, kind of. Do you get people that, I know that you like to travel with your wife a lot, people that say oh, Fargo. I understand Fargo. Ben Myhre: Well, my mom lives in California and that is kind of for many years was kind of the go-to comment. Is oh, I saw that movie. Bjork Ostrom: Yeah. Yep. I know that. I understand. So, well, fun to connect here. As you know we’re doing some interviews connecting with some Food Blogger Pro members. We’re in the middle of an enrollment period here. And I was really fascinated by your story and also some of the Food Blogger Pro team members said hey, it would be good to connect with Ben and hear a little bit about his story in general. Also how you use Food Blogger Pro. But before we get to that, one of the things that I really appreciated as I was digging into your story, doing a little bit of research is on your about page, you talk about your transition to professional web development. And you said you’ve been making this transition since 2014. You said hey, I’m over 40 and perhaps started this game a little late, but life is too short to not do the things that you want to do. I’ve always been willing to learn, adapt to my interests and drive on. All of those things are so awesome and it’s so encouraging to hear that part of your story. So take me back to the moment when you said, hey, I want to learn web development. What was that like knowing that it kind of involved a career change? Ben Myhre: Okay, so in 2014 when I kind of went down that path, I just sort of decided that I wanted to do something different. And sometimes I feel like you just need to make that leap into whatever you wanted to do. So I don’t know why. And maybe in retrospect or maybe it could have turned out to be a terrible decision. You know, those are part of the risks, but like I said, you know life is too short not to try and do the things you want to do. Now, it doesn’t mean you have to be dumb about it at all. But, you know, I decided that I wanted to start learning code. I started learning code and I wanted to make that transition and I did. I went to Devbootcamp in San Francisco, came back, and I started working for the company I worked prior except in a development and engineering part of this now. Meanwhile, food has always been one of those things that I liked. I was a cook back in the day and I don’t know, I get a little crazy with food topics. I’m a beekeeper. I have beer brewing right now. I do kombucha. I don’t know how many more things I could do. Bjork Ostrom: I love those fun kind of home-grown things, right? I feel like that’s slow food at its finest where you’re literally having to create the thing. You talked about pizza as well and I feel like this is my favorite little bio synopsis. So you said, I’m married to love of my life, Ashley. You talk about kind of sharing the cooking and gardening. She does a lot of it, you help as well. You said, we live with four cats and then in parenthesis yep, four. A Betta fish named Floki, is that right? Ben Myhre: Floki. It’s after the show Vikings. Bjork Ostrom: Okay, sure. Yeah, yeah, yeah. Fitting, right, for North Dakota, Minnesota. A St. Bernard named Kate Winslet who is one of the greatest dogs ever. We’ve seen photos and videos. And then this is the part that I appreciated. And a 35 year old bread yeast. Which I feel like is the ultimate food blog bio to include your bread yeast in there as well. Ben Myhre: Still alive. I haven’t killed that yet. So you make this transition and one of the things that I appreciate to pull this out is you said I’ve always been willing to learn more, adapt to my interests, and drive on. And think people listening to this podcast can relate to that, where they have this interest and the important thing with that is learning more and the willingness to drive on. So can you talk about when you made that transition into development specifically? And we’ll get to talking about the food blog part in a little bit. But with web development, how did you find yourself able to lean into the learning? That’s such an important piece of it. And both with food blogging as well as really anything online, development especially, web development, you always have to be learning. So can you talk about that and how you applied that to what you’re doing? And your willingness to kind of crawl before you walk? I can’t do what they do, but what I can do is do what I can. And that is learn more. I can take a step every day to try and become better at what I do and you know I think it’s served me well. I can’t focus on what my neighbors are doing or what the other people are doing. I’ve got to keep in mind the general trends of the industry because the industry is constantly changing. But on a daily basis, I have to try to improve myself. It doesn’t mean I’m going to end the day, like, knowing everything. In fact, as a web developer or a software engineer, part of my job is getting frustrated and not having the answer but working through that. One thing I learned when I was in Devbootcamp was that if you are really frustrated, it means you’re on the edge of learning something new. So you’re almost there. It’s just getting over that hump. And I’ve talked about this a couple of times in the podcast, but I would really like to maybe dive into that a little bit deeper or just pull that apart a little bit because I think what often happens, especially in this world, this world being technology and the internet and social media, is that people run into those issues or frustrations or problems and the assumption then is I’m not good at this, I’m not capable, there are other people who are good at this and it’s not frustrating for them. But in reality, I think, that’s a good place to be. It means you’re at a place of learning like you said. And there’re some things in our lives that I think we have an understanding that it’s going to be frustrating for a long time. Maybe golf is a good example? I don’t think anybody would assume that they could go out on the golf course and hit a ball straight or at all, like even connect with it. And it wouldn’t be outrageous to think that’s going to take three, four, five years until you’re really consistent and good at that skill. But for some reason I feel like the timeline that people give themselves for becoming really good at online things is so much shorter. And it shouldn’t be. We have this like two or three month or two or three day sometimes limit that we give ourselves and then we give up and say oh, I’m just not good at it. But in reality, it takes time. And that’s one of the things I appreciate about kind of behind the words I can feel that for some of the things that you’re saying. And just really appreciate that. So you make this transition, you make the leap. And also along with that, maybe complimenting that in some ways, you lean in to some of those interests that you have with your 35-year-old bread yeast and beekeeping and you know making pizzas and cocktails and things like that. And you launch a food blog. So take me back to the point when not only you made the transition with leaving what was your regular job, but also launched your food blog and kind of launched as a freelance developer as well. Ben Myhre: Okay, so I left my full time position as a software engineer in April. And it was a great company, like I said, life is too short. So I decided I was going to step out on my own and side by side, I decided that I was going to do some software engineering freelancing, web development freelancing. But also food blogging. Which, you know, you guys have been doing this now for years, so you know it’s not really a short game. Ben Myhre: It’s a long road if you want to do anything at it. Ben Myhre: I’m not exactly a normal food blogger. So I just decided to go with that. And then if you look at my logo, it’s kind of goes along that same theme, I guess. Ben Myhre: I do focus on history as well as the cocktail and food and that goes into the curiosity part, I guess. I really enjoy investigating where these things come from. Like I think I said in my about page, I started off making pizza and before you know it, I’m making cheese. Ben Myhre: And all of these topics that I pick I get to really kind of learn what I feel is the essence of that thing, which is fun. Bjork Ostrom: Yeah. It’s a great combination for somebody who is curious. That’s what I’ve found with the work I’ve done whenever I do, podcasts would fall into this, but also blog posts if I were to publish anything. It allows me to explore my interests in a way that I’m not able to do in just a consumption matter. I think there’s a difference because consuming and creating in terms of how we learn. And for somebody that’s curious, like you, or for people that are listening, the one fun avenue that not a lot of people do is create along with their consumption. And even the posts that I see here that you published, the history of cheese. And I’m sure that there are lots of people that are really interested in cheese, and have looked at the cheese Wikipedia page, and you know, watched videos on it. But not a lot of people who have probably written about it. And that’s one of the things that I appreciate about Ramshackle Pantry, your site, is that you explore both of those things. Not only recipes but also history and kind of dive deep into subjects in a different way, which is really cool. Ben Myhre: And I’ve got to interject because one thing that’s kind of neat about this, and there are people that do a lot of writing about these topics. But it’s not as often as you know the straight recipe stuff. One thing that’s really neat about it is sometimes I find like what I think are new pieces of information. Ben Myhre: Like I did a section on hamburgers. And there’s one origin theory of where hamburgers were created. But I pretty concisely determine that that can’t be true because there was the word was published somewhere else. Bjork Ostrom: Sure. And people would be curious I know this is a little bit of a rabbit trail, but where was the consensus and then where did you say, hey, maybe it’s over here? Ben Myhre: I’d have to review the post but it was there’s a restaurant that’s still standing on the East Coast that claimed to have the first hamburger. You can’t get french fries there. They don’t have ketchup. They’ve got the same grills that they’ve used since the early 1900s. And that was it. I think they opened in, I want to say, in 1904 or something like that? But there’s definitely records of hamburgers prior to that time. Bjork Ostrom: Yeah. That’s funny. It reminds me a little bit of, you know when you say their grills are super old, there’s a restaurant here in the Twin Cities and they would make, you know, Juicy Lucies, you’re a Midwest guy, right? Bjork Ostrom: So, Juicy Lucies in Fargo? Have they made their way? Ben Myhre: No. I mean people make burgers called Juicy Lucies, but not like you guys. Bjork Ostrom: Yeah. Okay. Well I appreciate that. That’s nice of you to say. But there was a Juicy Lucy, they were known for different Juicy Lucies. It’s actually right across the street from the school where a lot of professional athletes, like the really good athletes, it’s called Cretin-Derham Hall. And so Joe Mauer, who’s a Minnesota Twins player, or some Vikings players, or Paul Molitor, who was a Twins player, now the manager, they all went to Cretin-Derham Hall. And so they have different burgers named after these people and it burned down. And the people that came back were like there must have been, like, the burgers taste different. It must have been something about the grills that had this kind of secret 100 year old oil on them. Ben Myhre: It’s probably the lead. Bjork Ostrom: Yeah. But still, really, really good. It’s called The Nook is the name of the restaurant if anybody comes. It’s more of a bar and grill. But anyways, rabbit trail. So tell me about some of the things that have maybe surprised you a little bit in your first year of blogging. Ben Myhre: You know, there’s definitely been a learning curve for me in terms of photography. I guess when I first decided I was going to do this, I didn’t quite appreciate how much of it was photography. It’s easy to look at the pictures and say oh that looks good or that looks nice. But that was probably the biggest curveball for me. And the biggest challenge. Ben Myhre: My wife has since come on board and is starting to take the pictures, which I really appreciate. I do the editing and the Photoshop, which I’ve learned a lot from you guys too. But yeah, it’s not only just blogging, it’s photography. Bjork Ostrom: Yeah, for sure. It’s all of those things. They talk about in the news industry as well how they’re switching over and newspapers and looking to hire I think them call them predators, which is kind of weird name. But the idea being that they’re people that can do it all. So journalists that can photograph, they can record video on their phone, they can write. And in a lot of ways, especially when you’re in the early stages, you have to be one of those people that is in some way, shape, or form, kind of doing it all. And how challenging that can be. Especially if you’re spinning up new skills alongside of that. In the process of doing all this stuff, the writing, the photography, learning about these new skill sets, some of them you already have if you have a development background, not that you need to do a ton of that. But that’s definitely a part of it. Understanding that. Is there one area that you feel like you enjoy the most with the process? Ben Myhre: I enjoy the researching and I enjoy the eating. Bjork Ostrom: Yes, okay, yeah. Good. Number one. For sure. Ben Myhre: I like eating. I like researching. I mean, I’m pretty sure that no matter what I do there will be technology aspect to it. I live and breathe that stuff. So, yeah. Bjork Ostrom: For sure. And there’s this skill inventory thing called the strengths finder, are you familiar with it? Bjork Ostrom: Okay, is input one of yours? Ben Myhre: I want to say it is. It’s been a long time since I’ve done it. I’ve got it listed somewhere. Bjork Ostrom: Yeah, so input, and I think that’s the right one. Here’s the definition or like the explainer for input: it says (this is from Gallup who does the strengths finder) it says inquisitive, collect things, you might collect information, words, facts, books, quotations. And look for jobs in which you are charged with acquiring new information each day such as teaching, research, or journalism. So when I hear you saying I love the research side, I think of you being somebody that values and likes input. Which for the things that you’re doing, talking about the history of food and you know even researching recipes or hearing you talk about being kind of excited about finding the origin of the hamburger are all kind of input things. And fun to see you leaning into that with the platform that you’re building. And one of the things I want to do as much as possible on this podcast is point out that how you see people doing whatever it is that you want to do, in this case it would be food blogging, isn’t necessarily the way that it has to be done. And I think you doing a history of cheese post is an example of that. Like, you see a lot of recipe posts and those are definitely a good thing, but that isn’t what it has to be if you’re interested in food and you have a blog, there’s 1,000 different avenues that you can explore and really develop your brand around. So, really appreciate that. Tell me a little bit about Food Blogger Pro. At what point did you join in and I’m interested to hear you talk about if somebody signs up or if they’re already a member, would love to hear you talk about how you use it. Where are the areas that you go to find value that you can extract to then apply to your blog and the work that you’re doing? Ben Myhre: Okay. So why I decided to use it is I knew right away that I wanted to live in a context of some kind of supportive community. And I found Food Blogger Pro. There’s a lot of information on the internet. I mean, there’s too much information. Ben Myhre: And some of it is even good information for five years ago, but it’s not necessarily good now. Ben Myhre: You know, when you start talking about SEO and photography and some of those things. So when I decided that Food Blogger Pro was the thing that I needed to be a part of, I’d obviously seen your guys’ blog, I knew your story a little bit, and I felt like you were in this to provide value and that’s why I signed up. And ever since then, that’s exactly what I’ve gotten. I feel like I’ve gotten value. How I’ve used it? I’d say that the two things that I use most often are the forums and the videos. I enjoy the forums quite a bit. I actually check the forums almost daily because I get to hear from all of the other community members what they’re doing. I get to hear from the experts that you guys have on what they think. I get to hear sometimes from you and you know, we have some fun things like the dog post where everybody’s posting pictures of their pets, which is awesome. Bjork Ostrom: Which is worth, I feel like, a real quick rabbit trail. Not to divert from the media testimonial section, but I feel like this is important. We’ll link to this in the show notes, but one of the greatest videos of all time is you flapping the cheeks of your St. Bernard named Kate Winslet. The name comes from what? Ben Myhre: You know, I’m not even a super fan or anything. Ben Myhre: My wife asked me why I wanted to name the dog Kate Winslet, and I’m like I don’t know. I just wanted this big floofy dog named Kate Winslet. Bjork Ostrom: Kate Winslet! Once again, proving that if you want something in your life, you can go out and get it. Whether that’s work as a developer or a fluffy dog that is named Kate Winslet. Ben Myhre: And she is kind of a celebrity wherever she goes, I gotta say that. Bjork Ostrom: Oh, just so awesome. But I think the one that you’re referring to is we did this. We had kind of a back and forth conversation on somebody had this question, they were kind of discouraged about something and so we were kind of processing through that a little bit. You as well as Dr. Dan, another great Food Blogger Pro member who is active in the forums and all around great guy. So we were talking back and forth and he was talking about how he includes pictures of his two dogs in every post. And I was like oh, that’s such a great idea. And then I knew that you had Kate Winslet and I was like, we need to start a pets of Food Blogger Pro thread. So I just actually looked at that before we jumped on the call. It’s just this awesome compilation of random pet photos from Food Blogger Pro members. So people can check out the videos, they can check out the forum, but before anything else, check out the pets of Food Blogger Pro thread in the intros and promos section. So anyways, rabbit trail. But you’re talking about using the forum, you’re talking about kind of checking to see what the experts are up to and kind of following along with some of that stuff. Ben Myhre: And I get to add value, which is, you know, that’s helpful to me too. Being able to value in other people in their journeys. We’ve got these people that are contributing to what I’m doing. I feel it’s awesome to be able to add back in that way. And who knows, maybe I don’t. I think maybe I do, but one of those things. Bjork Ostrom: Yes. Yep, for sure. And I think, and I can say from the outside knowing and seeing those interactions, I think it absolutely is. And whether that be tangible practical like here’s the next thing you can do, or like I was talking about before, kind of this general encouragement of perspective and something to bounce off of and be supportive. So it’s a huge part of it, yeah. And then the other part that I really enjoy are the videos. And I don’t use those every day, but you guys have sections of information and I can look at it. So I think I was interested in running a contest. Ben Myhre: So I went out and watch some of your guys’ videos on contests and I decided maybe that isn’t the place for me to be right now. And I’ll come back to it later. Bjork Ostrom: Mm-hmm (affirmative). Yeah. That’s good. I talk about that with some of the videos that I do. We call the happening now videos, so the live videos. And what I love about that little snippet that you just shared was the takeaway was maybe I’m not going to do this. And I think in this industry, it’s just as important to have a clear understanding of what you are going to do and how to do it as it is what you aren’t going to do and why not. And in those happening now videos, one of the things that I talk about is like, hey, here are the things that we’re doing a Pinch of Yum and Food Blogger Pro kind of in real time. And as a reference, some of these things might not be things that you want to move forward on right now, but when the time does come that you do, you’ll have some understanding and context around how these things work. So I think you’re wise to be able to have that ability to say, hey, I understand this. Know how it works and I’m going to decide to not move forward on it. And dedicate my time somewhere else, which I think is great. Ben Myhre: Well, there’s only so many hours in the day. Bjork Ostrom: Yes. For sure. And I think everybody listening can relate to that. Bjork Ostrom: So, let’s say somebody is in the early stages with their site if they’re just getting started. Maybe they’re a little bit intimidated by the process. You’re at the point now where as the new year turns you’ll be starting to look at your one year anniversary, but you’re still in your first year. But you’ve done it. You’ve consistently posted content, you’ve consistently created, you’ve consistently learned. What would your encouragement be to people that are kind of in a similar place that are wanting to jump in and continue doing it and continue learning? Ben Myhre: Blogging is not a short game. It’s something that you have to be consistent about and you have to continue. In terms of encouragement, improve yourself every day. Improve yourself, keep on going. That’s really if this is what you want to do the only way to do it is by doing it. Bjork Ostrom: Yeah. Showing up every day, doing it, and then improving a little bit along the way and I think that’s so on point with the beliefs that we hold to and really try and talk about whether on this podcast or within Food Blogger Pro. So, Ben, where can people follow along with what you’re doing? See videos of Kate Winslet, your recipes, learn about the history of cheese? Can you share your site information and anywhere on social media people can connect with you? Ben Myhre: Absolutely. My website is ramshacklepantry.com. You can also reach me @ramshacklepantryben for Instagram, I believe. And I haven’t made my own Twitter handle yet for Ramshackle Pantry, but my Twitter handle is @notthehoff. Ben Myhre: So there we go. Bjork Ostrom: What’s the explanation for that handle? Ben Myhre: Well, you know who the Hoff is right? Bjork Ostrom: Yeah, so you’re not him. Ben Myhre: I’m not him. I don’t know, that was 2008 me. I don’t know what was going on. Ben, thanks so much for coming on the podcast, for chatting about your story a little bit, and for sharing your experience with Food Blogger Pro as well. Ben Myhre: Absolutely. Thank you very much, Bjork, for having me on. All right, so that’s a wrap for today’s special episode. If you’re listening in real time, you probably are hearing this on Thursday or Friday and enrollment closes on Tuesday. So just a few days left to sign up for Food Blogger Pro and signup is really simple. You can just go to Food Blogger Pro.com and when you go there, you’ll be able to sign up and you can pick from a yearly plan or a monthly plan. The yearly plan includes one year to Nutrifox, which is our nutrition label generator tool that we use on Pinch of Yum and hundreds of other bloggers are using as well. And it also gets you access to Influencer Academy and Influencer Academy is going to be a course that we’re doing with the yearly members for Food Blogger Pro where we’re going to dive deep into the process that Pinch of Yum uses to do all of our sponsored content. So we’ve talked a lot about sponsored content here on the podcast and Influencer Academy is going to be something that the yearly members of Food Blogger Pro are going to go through and learn the different things that you need, the forms that you need, the processes that you need, all of those things in order to do sponsored content and influencer marketing at a really high level and to really simplify that process so you have a system, you know what you’re doing, and we’re going to share what we do for Pinch of Yum for that process. So again, Food Blogger Pro.com, just a few more days to sign up for the membership there. That’s a wrap for this episode. Another big thank you to Katy from palletpassionpurpose.com and Ben from ramshacklepantry.com for coming on and sharing their story and for being valuable Food Blogger Pro members. It’s so fun to connect with you and see you in the forums there. All right, that’s a wrap. We’ll see you next week. Thanks.